July 3, 2017 By Chelsea T.
Who doesn't love a good ghost story? Well, in Arkansas, there's a whole lot of them! From hospitals and asylums, to cemeteries, schools, theaters, restaurants, parks, bridges, and even roads, there's an endless amount of places throughout the state that are said to have some ghostly spirits lingering. Some of these creepy spots are located in the biggest of cities that everyone knows about, and others in small towns that only locals may know of. Take a peek below to check out our Top 10 Haunted Places in the state of Arkansas! 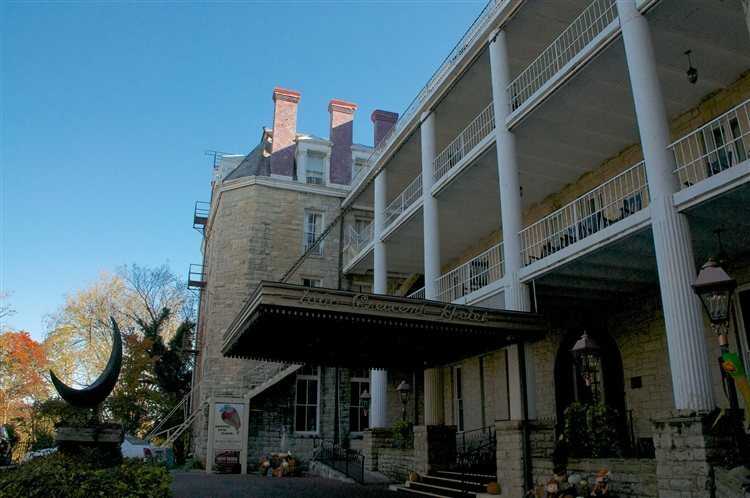 The Crescent Hotel is located on Prospect Avenue in Eureka Springs and dates all the way back to 1886. The Victorian-style hotel has had quite the reputation for being of the most haunted buildings in all of the country and is a member of the Historic Hotels of America. It was originally built as a resort for the rich and famous, but fell into disrepair until it was reopened in 1908 as the Crescent College and Conservatory for Young Women. This institution closed down in 1924, and then opened again in 1930 as a junior college. After the college closed in 1934, the Crescent was leased as a summer hotel. In 2007, TV's "Ghost Hunters" explored the building and record a full-body apparition on a thermal imaging camera. The figure seemed to be that of a man wearing a hat and nodding his head. There have also been a number of haunting reports from those who have stayed the night at the hotel, ranging anywhere from hearing voices to having the covers pulled off the bed in the middle of the night. This United States National Military Park is located in northwestern Arkansas, near the border of Missouri. It was established in July of 1956 and is currently managed by the National Park Service. 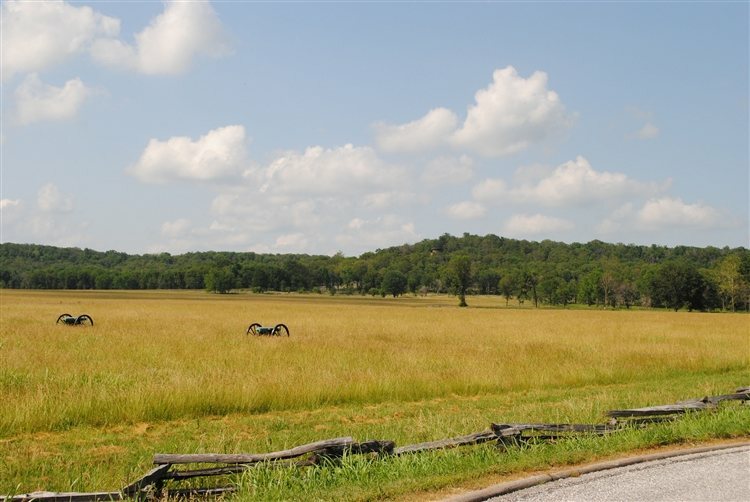 The Battle of Pea Ridge was one of the most pivotal Civil War battles and was fought on March 7th and 8th, 1862. It was a victory for the Union, and helped gain control of the crucial border state of Missouri. The park was added to the U.S. National Register of Historic Places and is believed to be one of Arkansas' most haunted spots. In the middle of the night, witnesses say you can hear musket fire, and apparitions of soldiers have been spotted. Others have claimed to feel as though something unseen follows them here as well. Eureka Spring's Basin Park Hotel is located in the shopping district of a spa town and is located next to the historic Basin Spring. Dating back to 1905, the hotel is believed to be haunted by more than just one ghostly visitor who never seemed to check out. One is that of a blonde woman with blue eyes, and another is of a toddler-aged girl is a yellow dress and pigtails. 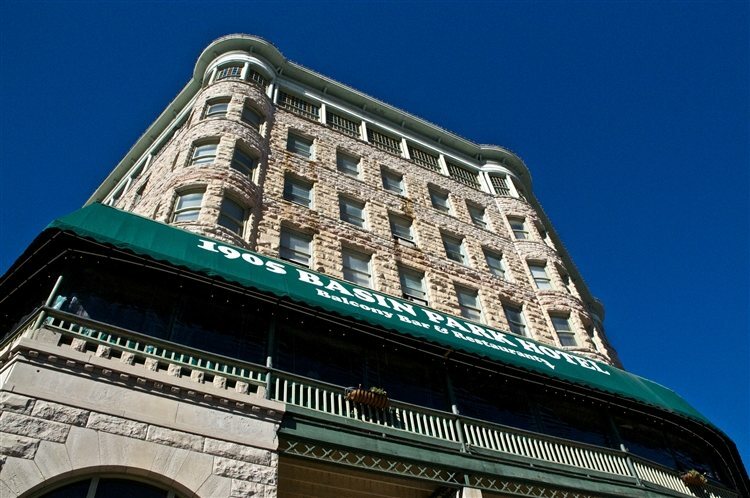 Orbs and objects that move on their own have also been reported at the hotel, which offers a "Spirits of the Basin Tour" for those interested in taking a look around and learning about the hotel's haunted history. 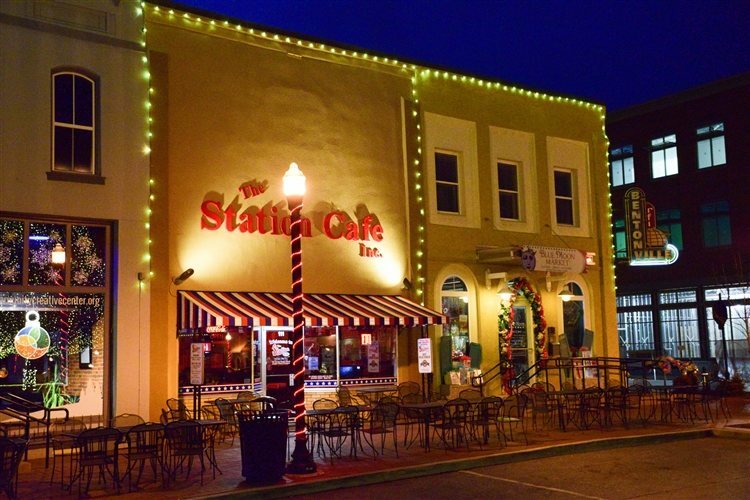 The Station Cafe in Bentonville offers American cuisine and is housed inside a building that was once a theater. The location is rumored to be haunted by a man's apparition who has been seen wandering the hallway. Other haunting reports include items that are moved in the main dining room and kitchen, sometimes in a violent manner. 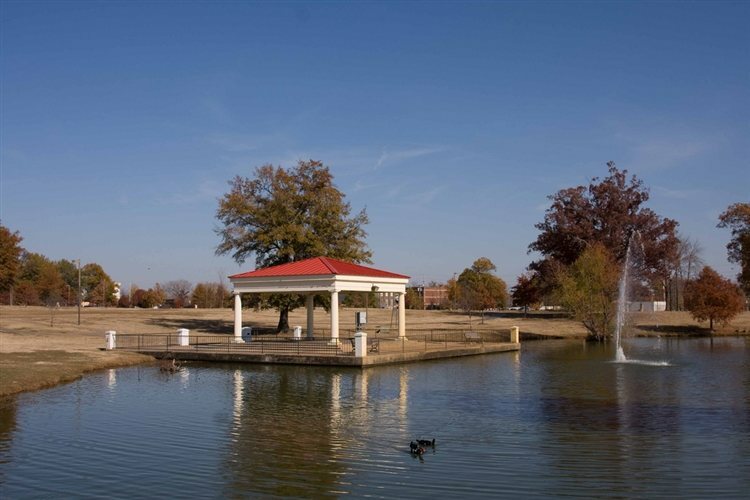 MacArthur Park in downtown Little Rock is the city's oldest municipal park and according to its official website, was formally established as the first public park in 1892 when the U.S. Army traded the Little Rock Arsenal’s land, including the Arsenal Tower Building, to the City of Little Rock to “forever exclusively be devoted to the uses and purposes of a public park”. The park was renamed in honor of Gen. Douglas MacArthur and is rumored to be haunted. Stories say the area was once used as a military training ground in the 1830s and the Old Arsenal Building has some ghostly spirits. 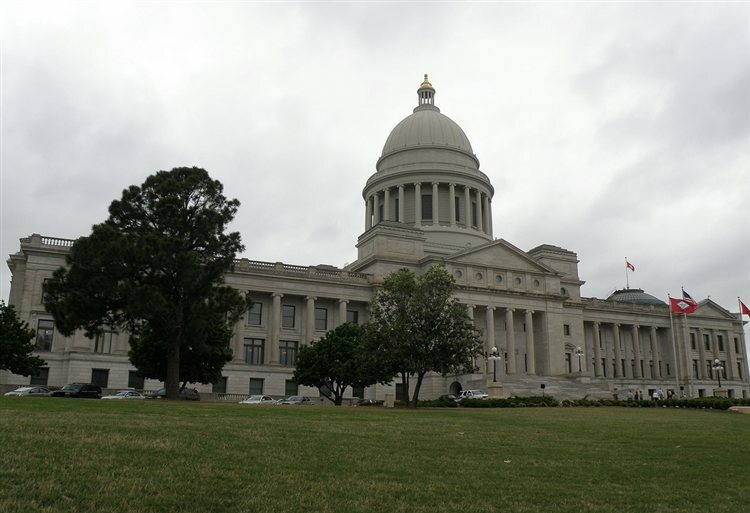 Arkansas' State Capitol building is the main house of government for the state and was built between 1899 and 1915 on the site of the old state penitentiary. It was added to the National Register of Historic Places in June of 1974 and boasts a Classical Revival style architecture. Prisoners helped build the structure, and resided in a dormitory that was left on the grounds while construction took place. Prisoners are among the ghosts who are believed to haunt the building, along with a woman in white who lingers near the stairs, and possibly the ghost of Ira Gurley, a representative who was killed in 1932 in an elevator accident. One of the elevators is known to act strangely, and Ira's ghost has been blamed for the issues. 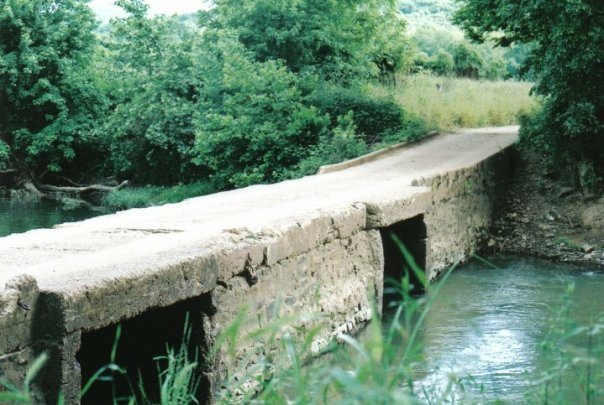 The Tilly Willy Bridge was demolished years ago but its haunting story still lingers throughout Arkansas as a popular tale that is told. Its haunting story involves a woman who drove off the bridge in the 1970s, killing herself and her children. Her phantom car has been spotted driving across the bridge and her apparition has been seen twirling around in a field nearby, wearing a white dress. Another story that surrounds the bridge is that of a green goblin creature who resides in the area. Quapaw Quarter is a section of Little Rock that features the oldest and most historic neighborhoods. Its name was given in 1961, honoring the Quapaw Indians who resided in the area centuries ago. The Quapaw Quarter has more than 200 homes and buildings that are listed on the National Register of Historic Places and is made up of as many as 15 separate National Register Districts. There are a number of spots throughout the Quarter that are said to be haunted, including the Mount Holly Cemetery, where graves date back to the 1820s and statues are rumored to be seen moving. Ghostly flute playing has also been heard, as well as the sightings of apparitions. The historic Allen House is located on North Main Street in Monticello and is where the ghost of a 1949 suicide is said to linger. According to Only In Arkansas, Ladell Allen Bonner drank cyanide in her home on Christmas in 1948, killing herself. Ever since her death, the mansion has had some ghostly encounters, and has even been called the one of the most haunted homes in the U.S. A woman's spirit is said to haunt the mansion, causing objects to go missing and giving guests the feeling that someone is behind them. 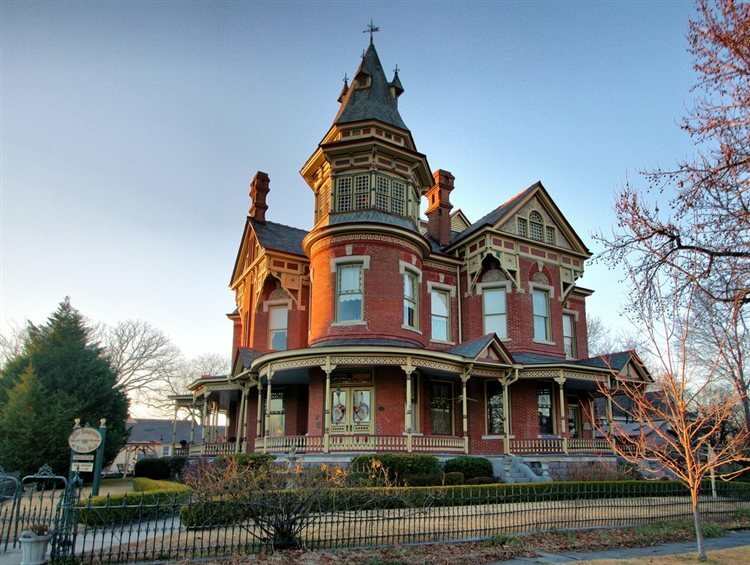 Located in the Belle Grove Historic District, The Clayton House is located on North 6th Street in Fort Smith and dates back to the 1880s. It was first known as the Sutton Mansion, which was built in 1852, and also served as a Union Army Hospital during the Civil War. After, the property was purchased by William Henry Harrison Clayton, who had the place doubled in size and remodeled into Victorian style. 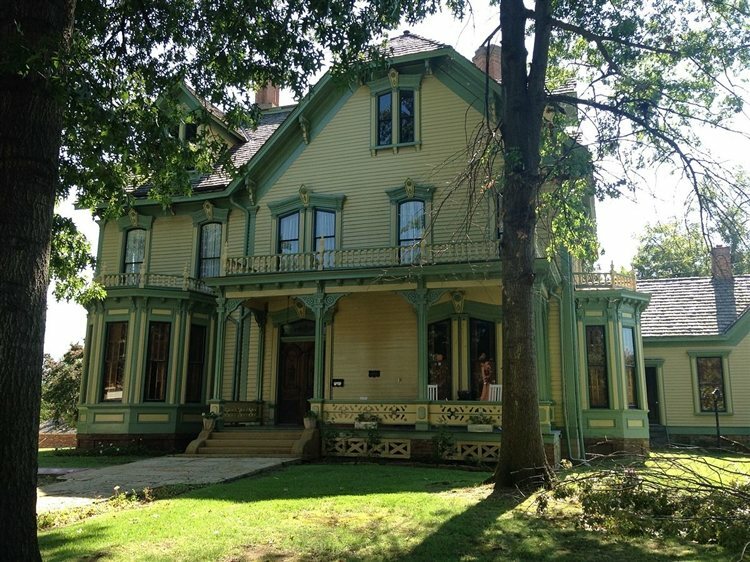 Today, the home operates as a museum that features antique furniture, including many of the Clayton family pieces. 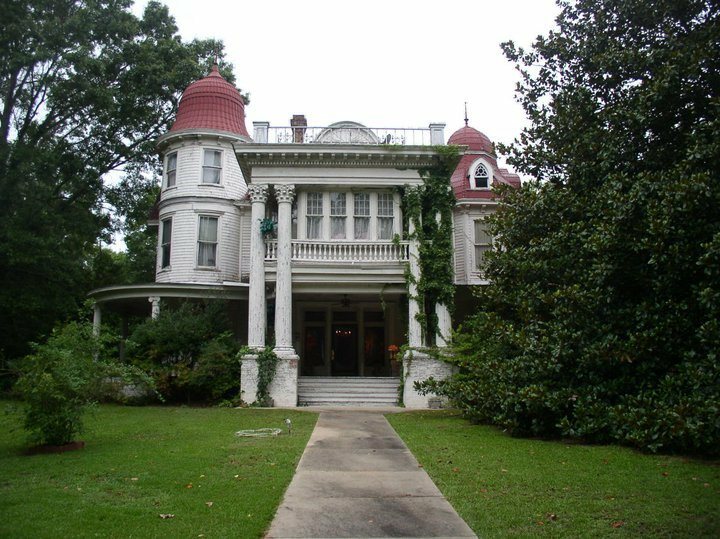 The home is believed to be one of the most haunted places in Arkansas and according to Haunted Rooms, was explored by the Paranormal Investigation and Research of Western Arkansas, where they recorded EVPs, including one that sounded like a cat meowing. Another was of a man yelling obscenities, and someone calling "Anna." Click here to read about more Haunted Places in Arkansas!